Going to work in Sudbury for the week and looking for some spots to fishing from shore. Sitting in a hotel waiting for the next day to start is boring. There is a Lake Ramsy access point on the road that leads to Laurentian university (not sure the name). Also, if you walk the trails behind Laurentian residences (old ones) there is a nice beach on a lake that has decent bass...and splake apparently too. Don't fish the at the golf course, they WILL kick you out several times. Minnow lake has a few public accesses, but the lake doesnt hold much. If you drive 20 mins north on Hwy 17, you can fish the Vermillion River. I've never had luck there, but lots of people fish at the bridge. Its a nice spot to chill and you can walk some of the shoreline. I'd recommend walking in on the North Side of the river, on the South bound lanes side and follow the small, very small walking trails to some nice rock cuts on the river. It's a good place to chill and it seems to have potential for pike, bass and walleye. Most guys just use pickeral rigs out there. I lived just outside of Sudbury for 3 years. I was in Chelmsford, I fished the Vermillion river(and the lake too) alot with decent success. 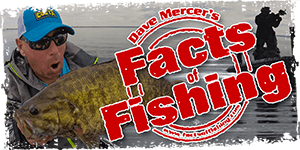 Smallmouth, pike, and walleye are all catchable from shore. I only fished Ramsey once, I ended up being skunked. The guys I went with did very well using Gulp grubs tipped with small minnows. 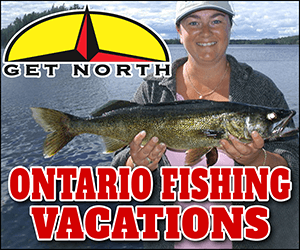 For the short time you are there don't fish minnow lake, as mentioned not a lot of # in there. I went there a few times with my wife to try it out, only a few small bass, she caught them on jointed rapala's. Arty there are a few places to go on Ramsey.The board walk at science north, the dock were the put the Cortina boat, the rocks at the launch if you go there wait till after 6, you may get a parking ticket if you go before. there is another spot to i believe its at the end of somerset walk across the trax's and fish of the4 rocks the latter the better for pickerel.